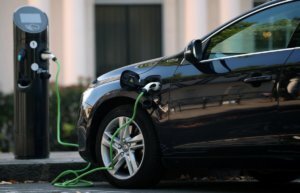 Initial registration of electric vehicles (new and used) in Ukraine in January-November 2018 almost doubled compared to the same period of 2017, to 4,812 units, the Ukrautoprom association has reported. At the same time, the share of imported used cars, as in the previous year, was 84%. As reported, in the first half of this year, the growth in the electric vehicle market was 50% compared to the same period last year, and in January-October already 89% (the share of used cars on it is 85%). According to the association, 598 electric vehicles passed primary registration in Ukraine in November, which is 2.4 times more than in the same month of 2017, but 80% of them were imported cars with mileage. The most popular electric car in the Ukrainian market (344 units) remains Nissan Leaf, BMW i3 cars rank second with the registration of 41 cars, and Tesla Model S ranked third with 34 cars. Renault Zoe ranked fourth position with 28 vehicles, while the fifth position belonged to Fiat 500e, which was chosen by 24 customers. National Energy Company Ukrenergo, private joint-stock company Ukrhydroenergo, DTEK LLC, public joint-stock company Donbasenergo, public joint-stock company Centrenergo, as well as heads of the Association of Solar Power of Ukraine and the Ukrainian Wind Energy Association have urged members of the Ukrainian parliament to extend the preferential period for imports of electric cars. “The reason for the appeal was the fact that on December 31, 2018, the temporary exemption from VAT and excise tax on imports of electric vehicles expires. At the same time, the Verkhovna Rada did not support amendments to bills Nos. 8487 and 8488 extending these benefits in 2019,” Ukrenergo, which initiated a joint letter with the appeal, said in a report. According to the document, the entire world is moving in the direction of decarbonization, energy saving and the use of renewable energy, and electric cars are an integral part of this trend. Their presence not only solves environmental problems and reduces the amount of harmful emissions, but also contributes to the emergence of fundamentally new opportunities for the development of the energy system. In addition, a large number of electric vehicles are a “window” of opportunities for Ukrainian energy. 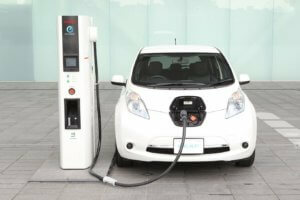 “The Ukrainian energy community shares the opinion that temporary exemption from VAT and excise tax on the importation of electric vehicles into the country will not only stimulate the growth of sales of electric cars, but it is a signal that we are part of the civilized world and are ready for new technological, social and environmental challenges,” the authors of the letter said. According to their data, in recent years there has been a growing trend in the demand for cars with an electric engine all over the world. In Europe, there are already more than 1 million electric cars, and by the end of 2018, according to forecasts, this number will grow by another 350,000. “Electric transport has become the object of increased attention of parliaments and governments of developed countries. 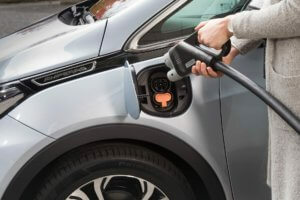 European states are actively stimulating the growth of the electric vehicle segment through tax incentives to create new opportunities for the development of infrastructure of charging stations and the development of the power grid,” the authors of the letter said. 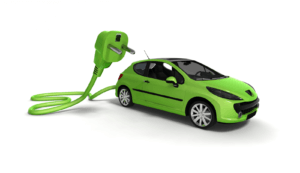 The active development of sustainable energy creates demand on the introduction of micro-grid systems in Ukraine, and growing popularity of electric cars creates demand on the installation of superchargers. A representative of the company Andriy Panchenko described the new trends at the Swedish-Ukrainian business forum held in Kyiv recently. According to him, the company has already built 25 MW solar power plants under an order of Ukrainian energy companies. Panchenko told Interfax-Ukraine that ABB on the market of solar power plants offers complex solutions, supplying everything, except solar cell arrays and cables. He estimated ABB’s market share at about 10%. The representative of the company said that this market is growing, and this year the volume of construction will exceed 30 MW. With regard to the superchargers, Panchenko said that the company has already installed 15 devices with a capacity of 50 kW, and the largest customer was DTEK. In his opinion, this market will continue to grow rapidly, as Ukraine is now the fifth market in Europe for importing cars, and the number of high-speed charges on the market is still very low. In general, Panchenko said that the ABB business in Ukraine began to grow, and if in 2014 its staff decreased from 200 to 100, now it has about 120 employees. 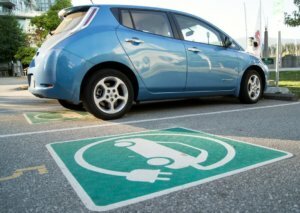 Primary registrations of electric cars (new and used) in Ukraine grew by 50% in January-April 2018 year-over-year, to 1,044 cars, the Ukrautoprom association has reported. The share of used cars grew to 85% compared with 81% in January-April 2017. Nissan Leaf is the most popular electric car with the market share of 69% (723 cars were registered, including 52 new cars). BMW i3 was second with 58 cars registered, including 19 new ones. 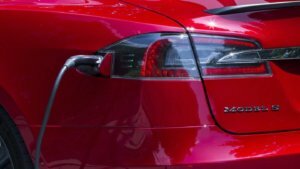 Tesla Model S is third with 52 cars registered (18 new). Mercedes-Benz B with 36 registered cars and Smart Fortwo Electric Drive with 32 registered cars were fourth and fifth respectively.